On Friday, Public Protector Busisiwe Mkhwebane unexpectedly and silently released her office’s report into the Vrede Dairy scam. While the report blasts Free State government officials’ “maladministration” and “gross negligence”, it will be found wanting by many in its failure to look into one of the most noteworthy aspects of the project: its relationship to the Guptas. Mkhwebane blames the time frame and financial constraints on her office. By REBECCA DAVIS. Public Protector Busisiwe Mkhwebane is not a fan of the snappy report titles favoured by her predecessor Thuli Madonsela. Had Madonsela published the most recent Public Protector report, on the Vrede Dairy scandal, it would have been titled “Milked Dry”, or something similarly punchy. Instead, the report is simply called: “Allegations of maladministration against the Free State Department of Agriculture – Vrede Integrated Dairy Project”. That is an inconsequential detail. Of more significance, however, is the fact that Mkhwebane published her report without any forewarning or holding any media briefing on its findings. This is important because the report touches on a matter which is politically sensitive, to say the least: the involvement of the government of the Free State, under current ANC Secretary General Ace Magashule, in the Vrede Dairy project. Journalists would have had some probing questions for Mkhwebane about the role of Magashule and his henchmen. They would have had yet more queries about the involvement of the Guptas. 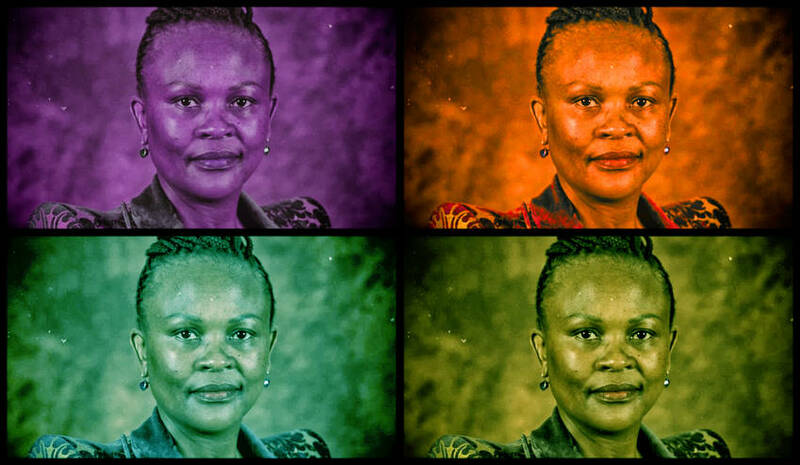 Public Protector spokesperson Cleopatra Mosana confirmed to Daily Maverick that no briefing was planned, and said that any follow-up questions would have to take place via a scheduled interview with Mkhwebane. She did not give reasons why this would be the case. Free State DA leader Roy Jankielsohn laid the original complaint about the Vrede Dairy Farm in 2013 after becoming concerned about the high government investment in the project – R342-million – and the “confidentiality clause” that protected the details of its partnership with the Gupta-owned firm Estina. Mkhwebane’s report states right off the bat that the Public Protector’s investigation into the matter was limited due to “capacity and financial constraints”. Here’s what Mkhwebane’s team didn’t investigate: why between 50 and 100 cattle purchased for the farm with taxpayers’ money had mysteriously died; why local beneficiaries supposed to benefit in the project did not; what happened to the money transferred to Estina; and the involvement of the Gupta family in the project. The word “Gupta” does not appear in the report. Neither does the word “Zwane”, in reference to the former Free State agriculture MEC – and current Mining Minister – Mosebenzi Zwane, who is believed to have cooked up the plan with the Guptas on a trip to India in 2012 and subsequently had it approved by Magashule. The report also clears the Department of Agriculture of “improperly (entering) into a Public Private Partnership agreement for the implementation of the Vrede Dairy Project” – because it finds that the arrangement between the Free State government and Estina was not a Public Private Partnership. It does find, however, that the department did not follow normal procurement processes and that the payments to Estina were “not in line with Treasury prescripts”. The department also failed to monitor the implementation of the agreement. Damningly, the report finds that “no documents and/or policies or measures were provided by the department that proper financial control and risk management of the project were in place”. The only invoices Mkhwebane’s offices received to support the claims of how government funds were spent was in the form of “nine (9) invoices for procurement of cattle”. According to Mkhwebane’s report, one of the only identified villains of the saga emerges as Free State agriculture accounting officer Peter Thabethe, who knowingly signed an authorisation to deviate from the correct supply chain management process and “was not clear on the grounds that justified him deviating from the prescribed process”. In so doing, the Free State Department of Agriculture contravened the Public Finance Management Act. Real criminal consequences for the Vrede Dairy scandal will have to come from the National Prosecuting Authority and the Hawks, because Mkhwebane’s recommendations for remedial action are distinctly mild. Some are directed specifically to Free State Premier Magashule. Magashule, now ANC secretary general, must take “disciplinary action against all implicated officials”, and count the cows. In the Public Protector’s words, he must “ensure that he conducts a reconciliation of the number of cows initially procured” with the cows counted on a Public Protector visit to the farm in April 2017. The head of the Free State Department of Agriculture is tasked with training officials on procurement regulations and teaching them how to implement future projects. The Public Protector’s findings and recommendations on the issue would appear to fall well short of what would be expected from a corruption scandal of this scale. The #GuptaLeaks emails have made clear that it was government funding for the Vrede Dairy project which paid for most of the expenses around the Guptas’ 2013 Sun City wedding. In late January, moreover, court papers filed by the National Prosecuting Authority’s Asset Forfeiture Unit showed that of the R220 million of government money given to Estina for the project, just R2 million went to the Vrede Dairy Farm itself. The rest was channeled to the Gupta and associates, with R10 million landing straight into the personal bank account of Atul Gupta. The DA declared itself highly unimpressed with the report in a statement released on Friday afternoon. “It is frankly mind-boggling how it could be that after an almost four year investigation into the Vrede Dairy Project, Public Protector Adv Busisiwe Mkhwebane found only that the Free State Department of Agriculture contravened the prescripts of the Public Finance Management Act,” DA leader Mmusi Maimane wrote. The DA said it would continue to study the report, and warned: “This matter does not end here”. The party also complained that the Public Protector had not submitted a copy of the report to the original complainant in the matter, the DA’s Jankielsohn, as was past practice. Jankielsohn deserves credit for having brought the issue to the Public Protector’s attention almost five years ago, well before the extent of the Guptas’ state capture was laid bare.